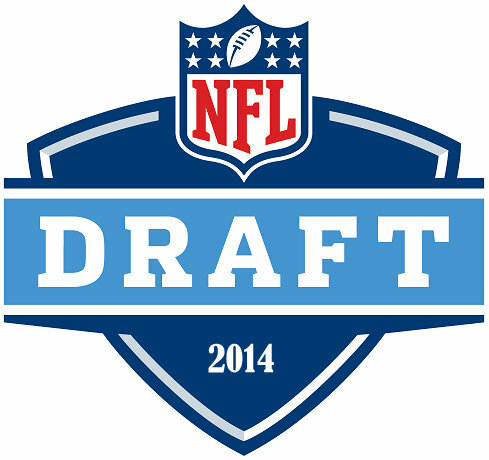 We are three months and a couple days away from the NFL Draft. It’s been moved back a few weeks to early May this year. The Ravens will flip a coin with the Dallas Cowboys to determine who gets the 16th and 17th picks. So much can change from now to then. Here is an early look at who the draft pundits are linking with the Ravens first round selection. Discuss your thoughts on this topic, over on our message board. Rob Rang, CBS Sports: Mike Evans, WR, Texas A&M. 6’4”, 220 lbs. “STRENGTHS: Highly physical receiver who uses his size and strength to simply bully defenders. Possesses an NFL-ready body, aiding him in his fight through press coverage, pushing off to generate consistent (if illegal) separation, when boxing out defenders on jump balls and in providing excellent downfield blocking for teammates…WEAKNESSES: Classic long-strider who does not possess the preferred burst off the snap to instantly challenge defenders off the line or out of his breaks. Relies too much on his size and physicality to win at the catch-point because he struggles to gain consistent separation. Able to dominate the smaller, weaker corners at the collegiate level but could struggle to do so in the NFL… COMPARES TO: Vincent Jackson, Tampa Bay Buccaneers – Like Jackson, Evans is a huge target whose size, strength and body control make him equally dangerous when fighting off defenders for contested passes and when using his long strides as a deceptive deep threat. This chart depicts where each pundit selected each of the other first round hopefuls. You can see how If the selection holds up for the most part, which guys the Ravens would be reaching for at 16th/17th, and which ones might not fall that far at all. Eric Ebron – I don’t think the Ravens need to go this route. Good TEs can be found later in drafts. Mike Evans – It’s looking more like a longshot that he actually falls to the Ravens, If he lives up to the hype and lands in the most popular pick among the group, he would be scary paired up with Megatron in Detroit. Marquise Lee – Middle of the first round and after Mike Evans seems to be the consensus. We seem to think a bigger receiver would suit Joe Flacco better, and Lee is not that at 6 feet tall, 195 pounds. C.J. Mosley – Linebackers are going later and later in these drafts. But if Daryl Smith isn’t resigned, this could be an interesting pick. The Seahawks just proved that defense still reigns supreme. If Mosley is a top ten talent that slips to the middle, Ozzie may go for his Alabama guy. Also without Smith, you’re asking Jameel McClain and second year player, Arthur Brown to man the middle. Cyrus Kouandijo – If the Mock Drafters are right, the Ravens would be reaching to take this guy in the middle of the first round. O-Line help is certainly a need though. Cyrus is a local talent from DeMatha Catholic High School in Hyattsville, MD. Kelvin Benjamin – Where this guy will get drafted seems to be anyone’s best guess. Eight different mock drafts give us eight different landing spots for the Seminole. Offensive line and wide receiver look to be the biggest needs of the Ravens. In the case that Mike Evans is off the board when the Ravens pick at either #16 or #17, it seems likely that the Ravens could trade back in the first round and still land either Kouandijo or Benjamin. Trading back would net them a later pick, maybe either a fourth or fifth rounder, both of which they gave up to obtain Eugene Monroe from Jacksonville.